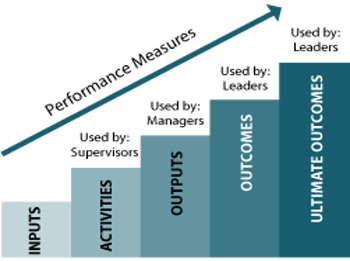 LRI helps develop meaningful performance measures tied to your organization’s goals – and then helps you use those measures to drive continuous improvement. Define long-range measures and targets, building clarity around vision and goals. Facilitate the development of balanced scorecards and dashboards. Create an integrated system of performance measures that cascades throughout the organization. Align individual performance with organizational performance. Develop an ongoing monitoring process to assure that communication about performance results in continuous learning and improvement. View our performance management consulting case studies, dashboard examples, and examples of client experiences.